Visit the movie capital of the world… Performing Arts trips don’t get any better than this. 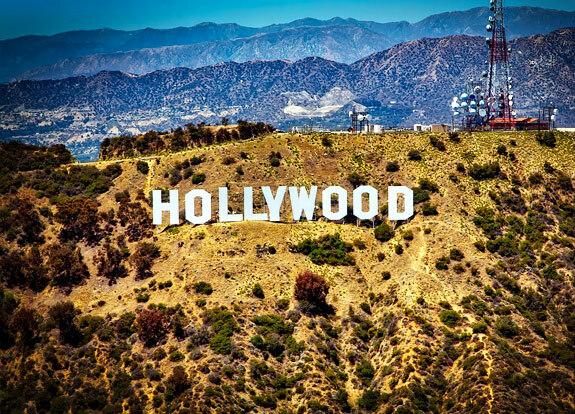 Hollywood School Performing Arts Trips: Don’t you just dream of the chance to see LA? Sunset, Rodeo, Hollywood, Beverley Hills… Santa Monica, places as legendary as the silver screen itself. Well it’s time to push the boundaries of what taking a school trip really means and create memories that refuse to fade. The LA studio of the renowned New York Film Academy, on a back lot at Universal Studios, will be where you can explore your creative talent. It’s a surely every performers goal to be part of the tinsel town buzz… the chance to take acting classes in Hollywood, have you got the X Factor? So let’s put performance in perspective as well and see behind the Hollywood machine and Sony Studios. One of the world’s most famous film studios, this fantastic tour gives you a rare glimpse of the magical Hollywood glory days and an insider’s view of a state-of-the-art motion picture studio. Not only is this the studio where the Yellow Brick Road once wound through Munchkin Land, it is also the place where the agents from “Men In Black” battled aliens from outer space and Spider-Man catapulted from skyscraper to skyscraper. Don’t worry there’s time to let your hair down and experience LA too. Take a ride on the Ferris wheel on Santa Monica Pier, stroll along the people watching capital of the universe, the Venice Beach Boardwalk and dodge the skaters on Ocean Front Walk. So when you dream let’s dream big, right out of the gate. The LAAC has the ‘WOW’ factor in spades and that is where our performing arts trips in LA stay. It became the city’s first private club in 1880 when Hollywood was little more than a farm and an adobe hut, as the city grew so did the club; if you were somebody, you were a member of the LAAC. 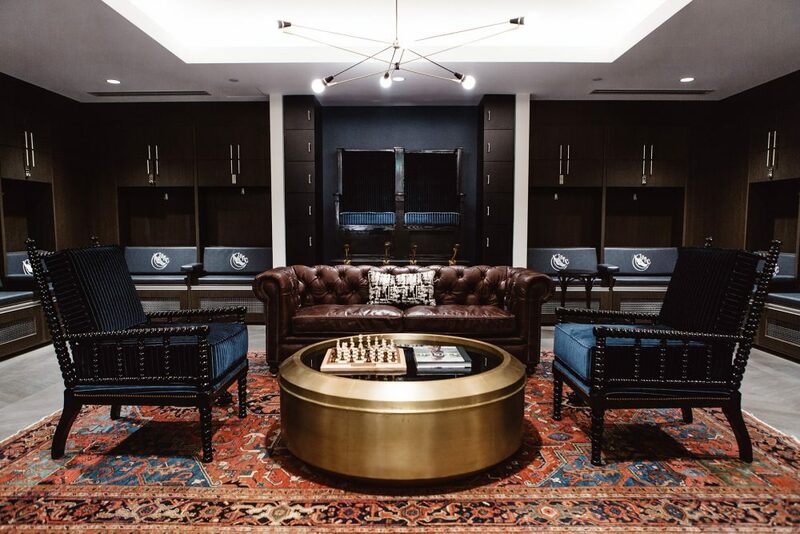 This place has got to be seen to be believed, not only has it got an 80,000 sq ft gym with an impressive array of facilities including a basketball court used for filming commercials but there are 72 freshly remodeled rooms, each with custom furnishings, luxurious bedding, roman shades, and flat screen televisions. Depart from UK airport bound for Los Angeles. On arrival at LAX your group will be met by a member of the ACTIV4 USA team and escorted to your coach for the transfer to the luxurious Los Angeles Athletic Club in Downtown LA. The LAAC has the ‘WOW’ factor in spades, it became the city’s first private club in 1880 when Hollywood was little more than a farm and an adobe hut, as the city grew so did the club; if you were somebody, you were a member of the LAAC. This place has got to be seen to be believed, not only has it got an 80,000 sq ft gym with an impressive array of facilities including a basketball court used for filming commercials but there are 72 freshly remodeled rooms, each with custom furnishings, luxurious bedding, roman shades, and flat screen televisions. Just take a look at their website. After settling in to the LAAC, your group will take the short walk to ‘The Counter’ described by themselves as; Anti-Established in 2003, The Counter® is the 21st century’s bold answer to the classic burger joint. Ushering in a fresh era of industrial decor, today’s music, and burger options, you’re greeted with a clipboard and an extensive list of fresh, mouth-watering ingredients that allow you to build your own gourmet burger. You’ll be up early anyway because of the time difference so there’ll be plenty of time to enjoy your buffet breakfast. Then you’ll transfer to the Universal Studios Backlot by metro for your first workshop at the New York Film Academy (NYFA). Workshop: Improvisation. Following your workshop you will transfer to Culver City for a behind the scenes tour of Sony Studios. One of the world’s most famous film studios, this fantastic tour gives you a rare glimpse of the magical Hollywood glory days and an insider’s view of a state-of-the-art motion picture studio. Not only is this the studio where the Yellow Brick Road once wound through Munchkin Land, it is also the place where the agents from “Men In Black” battled aliens from outer space and Spider-Man catapulted from skyscraper to skyscraper. Our dynamic studio tour guides will shed light on the film and television production process by taking you to various soundstages and by sharing tales of days gone by. Filled with movie, television and commercial productions on any given day, you never know what- or who- will be just around the corner! There will also be some time for shopping at the Studio Emporium. The ‘shop-a-holics’ will be taken care of with a trip to LA’s favorite mall The Grove and this evening you will have time to pick up some of the favorite brands before dinner at the Wood Ranch Grill. Believe it or not this is only your second full day in LA and after breakfast you will head back to the New York Film Academy for a ‘Technique’ workshop. This is followed by a tour of the Kodak Theatre, the home of the ‘Academy Awards’ Step inside and revel in the elegance of this state of the art facility. See an Oscar statuette, visit the exclusive George Eastman VIP Room, view 26 Academy Award images, learn where this year’s nominees sat, and gain an insider’s view of the behind-the-scenes production of other popular events such as the American Idol finals! After grabbing a quick lunch you will be taken on the Hollywood Behind the Scenes Tour which includes the Chinese Theatre, the Walk of Fame. You will also see many great but lesser known landmarks such as the El Capitan Theatre (Disney’s premiere theatre), Grauman’s Egyptian Theatre (where the movie premiere was born), the Blossom Room in the Roosevelt Hotel (site of the first Academy Awards ceremony) and the only fully intact “speakeasy” in Los Angeles. Dinner tonight will be at the California Pizza Kitchen and then the group will go on to see a movie at Disney’s El Capitan Theatre. Today is devoted to Universal Studios the ultimate Hollywood movie experience. First, go behind-the-scenes on the legendary Studio Tour to explore where Hollywood movies are made. Then, face action head-on in heart pounding rides, shows and attractions that put you inside some of the world’s biggest movies. Be part of the battle as you embark on a mission to defend the Allspark from the evil clutches of the Decepticons® in Transformers™ The Ride 3D. You will dine this evening at Buca Di Beppo on City Walk, a busy area located between the parking areas and the theme park, where guests can enjoy a variety of restaurants and shopping opportunities and even take in a movie or two. Then it’s back to LAAC after another exciting day. This morning’s workshop is ‘Stage Combat’ and then you’ll return to the Downtown area for this afternoon’s walking tour of Downtown LA. Los Angeles is America’s second largest city and comprised of a network of vibrant neighborhoods and distinct experiences. 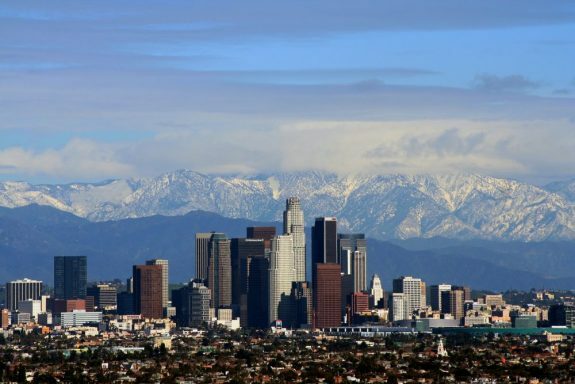 Long known as the business hub of the West Coast, Downtown LA is also recognized for its world-class destinations including Walt Disney Concert Hall, Staples Center, University of Southern California and Cathedral of our Lady of the Angels. Explore and listen to many different types of music from many different decades. There are numerous displays with wardrobes and memento’s ranging from Michael Jackson’s “Thriller” jacket to Luciano Pavarotti’s tuxedo to Taylor Swift’s handwritten “Tim McGraw” lyrics to hard rock guitars to Katy Perry’s fruity outfit from the 2009 Grammy’s. There are recording booths where you can sing, remix and produce your own songs and don’t miss the instruments; you can play the drums, pianos, guitars the list goes on! Dinner tonight is at Cliftons. Created in 1935, Clifton’s Brookdale is one of the last remaining cafeterias in the Southern California area and a main staple of Historic Broadway in Downtown Los Angeles’ Historic Core. Enjoy great dining in the forest-themed restaurant that reflects restaurant founder Clifford Clinton’s childhood summers in the Santa Cruz mountains by Brookdale Lodge. It’s the last workshop in the NYFA programme and this morning the theme is ‘Scene Breakdown’. The rest of the day is spent in Santa Monica and on Venice Beach. Nothing beats simply sticking your feet in the fine sand, sitting in the sun and watching the ocean. The students will love the venerable Santa Monica Pier, where diversions include a quaint carousel, a solar-powered Ferris wheel and tiny aquarium with touch tanks. Walk along to Venice and promenade along the world famous Venice Beach Boardwalk, stand and stare at the bodybuilders at the Muscle Beach Gym where Arnold Schwarzeneger used to train and watch the skaters go by on Ocean Front Walk. Your final dinner will be at ‘Bubba Gump’ on the Santa Monica Pier… a great way to round of a fabulous trip. After breakfast there should be enough time to enjoy the facilities at the LAAC or sneak in some last minute shopping but you have got to be ready to depart this afternoon for LAX and the overnight flight back to the UK.